Deadline has word that Penelope Cruz has signed a deal that will see her star alongside Stiller, who will be reprising his role as model Derek Zoolander. 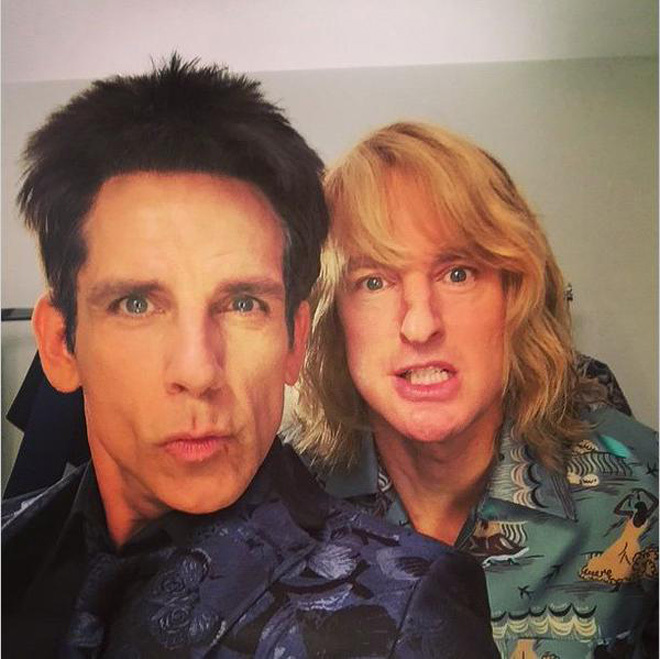 There have also been rumors swirling around that Zoolander 2 will feature the return of fan favorite characters from the first movie, including Will Ferrell’s villainous Mugatu and Owen Wilson’s Hansel. At this point there’s no word on what character Cruz will be playing, but given that she’s devastatingly beautiful, it wouldn’t be a huge surprise if she wound up playing a fellow supermodel. Supermodel Karlie Kloss will reportedly make her acting debut in the highly-anticipated Zoolander 2, which hits theatres February 12, 2016. Insiders told E! Online that the 6ft1in 22-year-old ‘is definitely on board’ after another blonde Amazon – Gigi Hadid – turned the role down. Other catwalkers allegedly vying for cameos include Cara Delevingne, Naomi Campbell, Jourdan Dunn, and Alessandra Ambrosio. The sequel is written by Stiller and Justin Theroux — who last teamed on “Tropic Thunder” — with Stiller set to direct. The 2001 original grossed $60 million worldwide on a budget of $28 million, and has since become ingrained in pop culture thanks to Stiller’s memorable poses and self-aggrandizing quotes. Ben Stiller stayed in an interview that it will take place 10 years since the last one. It will also find Derek and Hanzel in Europe. Derek & Hansel blaze down the Maison Valentino runway, Zoolander 2 announced. In theaters February 12, 2016.